In this new era of digital books and writers publishing independently. There are many good authors and books, like the saying goes, “too many books, too little time”. I get a lot of requests to read and review and after reading the synopsis, I want to say YES!!! but know, it just isn’t humanly possible to read all the books I want to. Today’s guest is just that case. But I wanted to introduce him to you and hope that you will say YES!!. So, please help me welcome, to our group, Mr. Bill Brown!!! 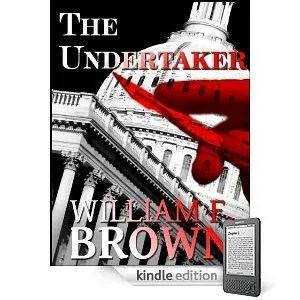 Bill Brown is the author of The Undertaker, his sixth suspense novel, has already received three 5-Star ratings from major review sites. It is available on Kindle, Sony, Nook, and IBook. His earlier books include Thursday at Noon, published in hardback by St. Martins, with paper and foreign editions and numerous favorable reviews in The New Yorker and other publications. Beaufort Books published his first novel, The Allah Conspiracy. His newest novel, A Whisper of War, is with his agent making the rounds of publishers; and he is currently writing two more suspense novels. In addition, he has written four screenplays that have won or placed in many national contests. One of his screenplays was optioned for film. He lives in Columbus, Ohio. As the Vice President of the real estate subsidiary of a Fortune 500 corporation, he traveled widely in the US and abroad. A native of Chicago, he earned a BA in History and Russian Area Studies and a graduate degree from the University of Illinois. 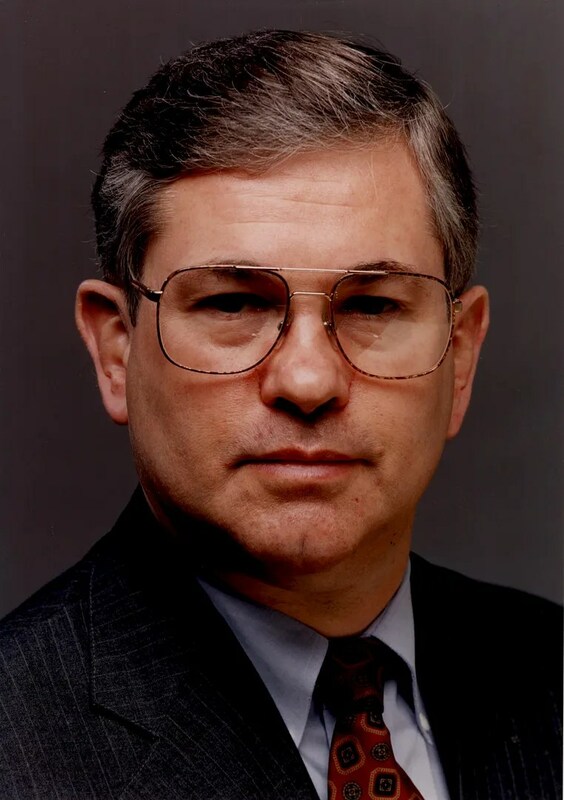 He has been active in politics and numerous civic organizations over the years, and served as a company commander in the US Army. When he is not writing, he focuses his time on landscape oil painting and golf. He has traveled widely in Russia, Germany, the Caribbean, England, Ireland, Scotland, Poland, Hungary, Czechoslovakia, Italy, Austria, Egypt, and Israel. You can visit William Brown at his website. People often ask writers, “Where do you get your ideas?” Every novel takes its own tortuous path, some more easily and more successfully than others; but each of mine has started with a simple, one line concept, which is then expanded until it ends up as a fully developed novel. Mine usually begin with an intriguing one-liner. The novel I am currently working on began with, “A guy’s in the window seat of an air liner coming in to land at O’Hare. He looks down, and sees a man strangling a woman on a roof top as it flashes by below.” Then, I start asking, who were they? What building was that? Why would he kill her? What’s at stake? A crime of passion? Was he hiding something, or trying to shut her up? Next, who is our guy in the airplane? Who are his friends and enemies? What is going on in his life that this situation will make even worse? I keep expanding those threads until they form a plot, and simultaneously keep growing those stick figures into unique, well-rounded characters. In the end, they are what drives the story and make it logical and inevitable. My most successful novel, Thursday at Noon, began with, “A burned out CIA agent in Cairo stumbles home one night and finds a severed head sitting on his rear stoop.” In screenplays, they call these one-liners ‘log lines.’ As with the others, the log line needs to be something incongruous, immediate, and jarring, like, “Snakes on a plane.” That is one of the very best. Screenwriters and producers use them to sell a story, but it is equally useful to help a writer to keep his story focused. Call it a concept, premise, or log line, but all successful novels are based on a strong one; and no amount of writing or re-writing can make up for a weak one. My new E-Pub novel, The Undertaker began with, “A guy opens the newspaper one morning and sees his own obituary.” How did that happen? Was it a mistake? All the details are spot on; it is him! Worse, there is a companion obituary for his wife! Who? Where? Why? Someone with a penchant for sharp scalpels and embalming tables is planting bodies under other people’s names. The Undertaker is a ‘chase book,’ that takes the reader from a funeral home in Ohio, bumper-tag on the Dan Ryan, snipers in New York’s Washington Square, a bloody Back Bay townhouse, sleazy lawyers, corrupt County sheriffs, mafia hit men, the FBI, an army of Chicago cops, and the upper berth of an Amtrak train. It is a pool/beach book, told with a touch of humor, romance, and stark terror. ﻿Pete Talbott is a California native and harried Boston computer wonk still grieving over the death of his wife Terri, when he found himself at the wrong end of Gino Parini’s .45 reading his own obituary torn from that morning’s newspaper. Talbott figured it was all a big mistake until Parini showed him his wife’s obituary too, and this was a mystery Talbott couldn’t leave alone. From a funeral home in Indiana, to car chases on the Dan Ryan, a bloody Back Bay townhouse, snipers in New York City’s Washington Square, sleazy lawyers, corrupt County sheriffs, mafia hit men, the FBI, an army of Chicago cops, and that unforgettable scene in the upper berth of an Amtrak Train, “The Undertaker” is a thrill ride with a touch of humor and romance. Someone with a penchant for sharp scalpels and embalming tables is planting bodies under other people’s names; and if Talbott doesn’t stop them, he and his quirky new girlfriend, Sandy Kasmarek, will be next on the Undertaker’s list.